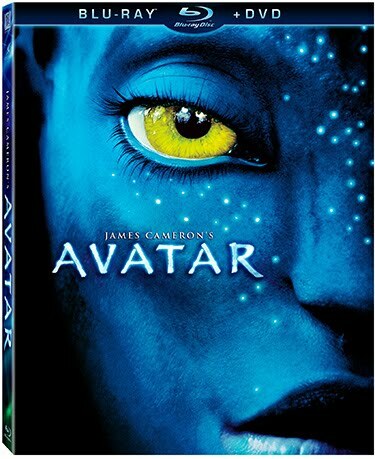 James Cameron's "Avatar" was recently released in both DVD and a Blu-ray/DVD combo on Earth Day 2010. I was reluctant to see this film in IMAX 3D because of how susceptible I am to motion sickness. 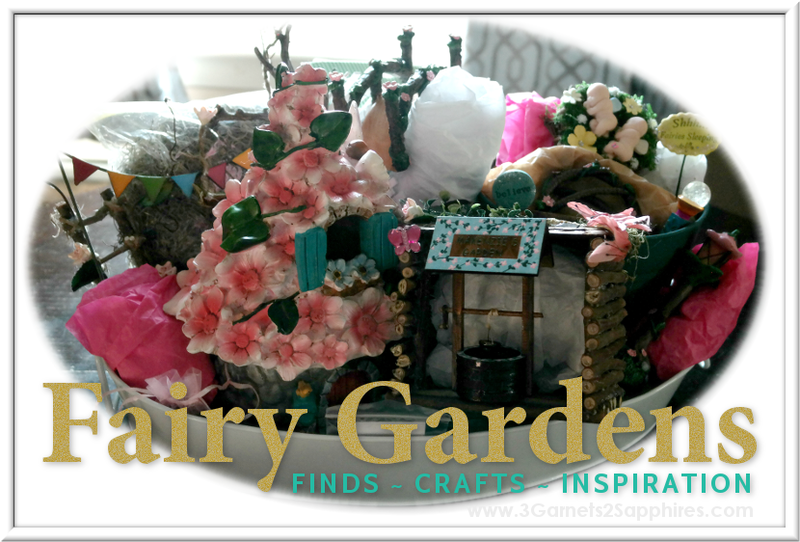 My husband was fortunate enough to have had the chance to view it on the big screen and absolutely raved about it. In fact, while we watched the DVD together, he kept telling me how unbelievable each scene looked in 3D. Well, I thought the movie looked pretty incredible in our living room. 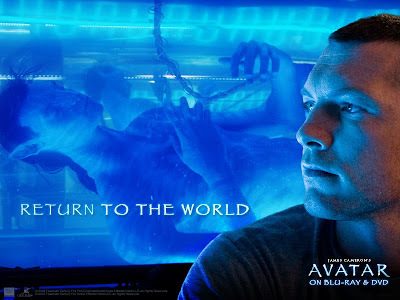 I have heard so much buzz about this film, but I have not allowed myself to read any reviews about "Avatar". Like everyone else, I absolutely loved this breathtaking, extremely moving, action-packed movie. Now I can tell you why I loved it without the influence of other points of view (excluding my husband's of course). Sam Worthington (also in "Clash of the Titans") plays Jake Sully, an ex-marine who had lost the use of his legs in the line of duty. 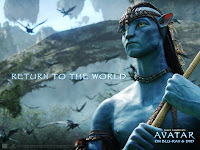 He was recruited to be part of the Avatar program in which he was assigned to infiltrate the Na'vi clan on Pandora to learn their weaknesses so that the military can drive them off their land in order to mine their resources. Jake grew to understand the Na'vi and eventually falls in love with the daughter of their leaders and finally comes to be accepted as one of their people. As Jake approaches this acceptance, his doubts about his mission grows. He begins to struggle between the military man he use to be and the new man he is becoming, a man who not only can walk and run, but a man who has learned to live in harmony with the world that is Pandora. This inner struggle experienced by Worthington's character is something that the viewers share in. I for one was not very proud to be part of the human race at all by the end of this film. We are reminded about how history repeats itself. Because a people lives amongst nature and are strange to us, we label them as savages not worthy of a second thought as we take what we want from them, including their homes. 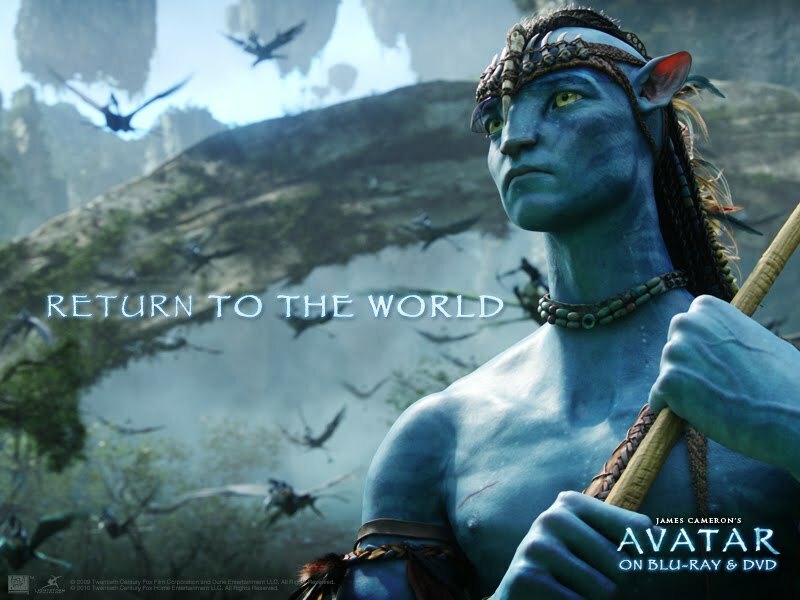 How well the film draws you in to empathize with the strong-hearted Na'vi is part of what makes this movie so great. 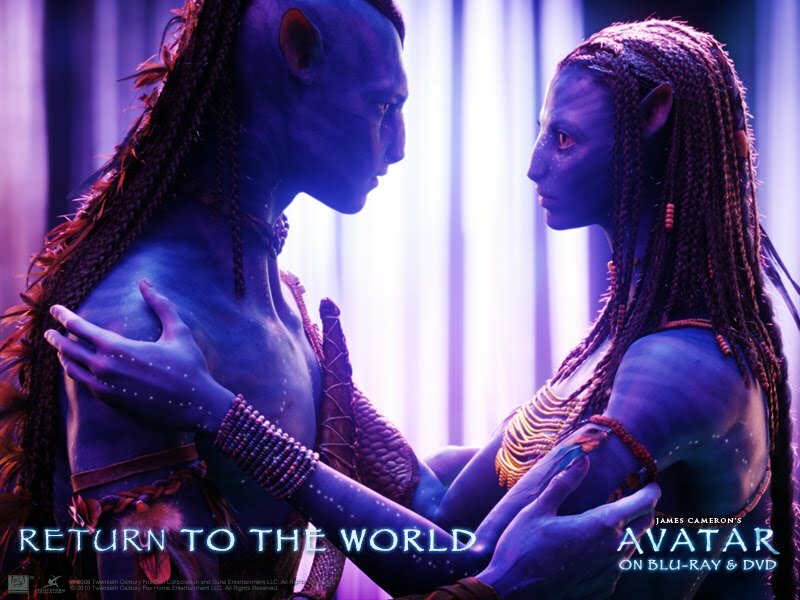 Zoe Saldana (also seen in J.J. Abrams' "Star Trek") plays the remarkable Na'vi heroine Neytiri. Saldana was able to exude inner beauty and strength even through the Na'vi exterior. Neytiri's wisdom, patience, and kindness are what enabled Jake to transform from a "little baby" into a heroic Na'vi warrior. Saldana stole the scene in every one she appeared in (well, with the exception of the ones featuring the ever-impressive vividly-colored Turok). As with most films, with love comes heartbreak. As memorable as the scene was that showed the beautiful flight of the banshees, which marked Jake's acceptance by the Na'vi people, the scene depicting the tragic death of Neytiri's father (the leader of the Na'vi) was even more so. The viewer could feel Neytiri's heart breaking not once, but twice. Once for the loss of her beloved father and clan leader and then again for the realization that Jake had previous knowledge of the humans' plans and had planted himself amongst her people to aid the enemy who sought to destroy her home. Sigourney Weaver and Stephen Lang both play stereotypical characters, but somehow manage to bring brilliance to their roles. Weaver's character (Grace Augustine) is an overly intelligent tree-hugging scientist who looks down upon Jake until their goals begin to mesh. Lang's character (Colonel Miles Quaritch) is a no-mercy single-minded military man who is tough as nails. Both supporting characters were both well-written and well-played. If you have not yet seen this film, you might still be able to find it playing in select theaters. In any case, I highly recommend that you purchase it because you will want to watch it more than once. Currently, you can find "Avatar" on DVD or a Blu-ray/DVD combo at most major movie retailers. I suggest you purchase the combo because the DVD alone contains no bonus features, which was my only disappointment about this DVD. 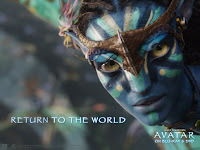 To learn more about this film, visit AvatarMovie.com, Avatar on Facebook, and Avatar on Twitter. 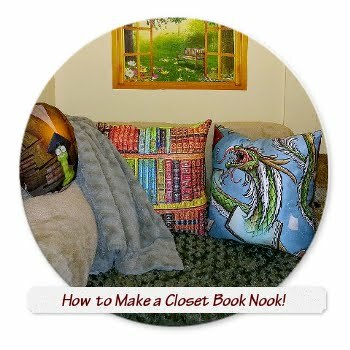 Ever wonder how you would look as an Avatar? You can Become An Avatar just by uploading a front-facing photo of yourself. 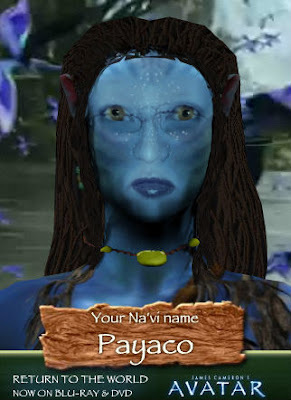 Check out my Na'vi self below . . .